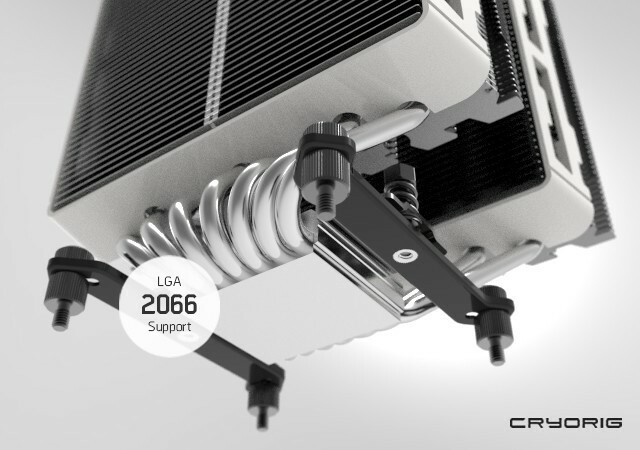 In response to the soon to be launched new Intel LGA 2066 socket, PC thermal solution brand CRYORIG announces that all existing LGA2011v3 supported models will support the new LGA 2066 socket. The supported models include all A series liquid coolers, the R1 Ultimate/Universal, R5, C1, H5 Ultimate/Universal and the H7 Quad Lumi. Models that support only AMD or AM4 will not support the Intel LGA 2066 socket. The mounting mechanism of LGA2011v3 and LGA2066 are identical, thus no additional kits will be required to support the new socket.